​'Tis the Season to give to those who need support during the Holiday Season. 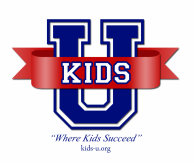 We hope that you will give graciously to the students of Kids-U! There are two ways in which you can give. 1. Adopt an Angel and we will shop for you! If you do not have time to shop you can still Make a Wish come true and donate $50 and we will do the shopping for you. Just click the "donate" button below.Please click the "donate" button below to adopt students. The cost is $50.00 per student. Thank you for supporting the low-income students at Kids-U this year! adopt is to donate dollars! Thank you! There is a $50.00 limit per child. You may purchase 1 wish or all the wishes as long as you do not go over the $50.00 limit. You can call Kids-U to set up a time to pick your gift up on Mon. or Tues. Dec. 17 & 18. We can pick this up from your home or your office. Please do not wrap the gift. Keep the gift in a bag and attach the child's wish list to the bag. We will collect over 500 gifts so this makes it much easier to ensure each child receives a gift. Once you fill out and send the adopt form, Mary Jones will send you the child's wish list and coordinate everything from that point forward. If you have any questions please call or email Mary at: 214-503-3672 (Office) or email maryj@kids-u.org.